Just like many of the business owners have a mindset that a business is no way benefitted from a website, or that launching a website is not included in the budget, I would rather say that this is the high-time when you must change your misconception. In today’s fast-paced world, when digitalization has captivated the entire market, it is essential to keep going with the race to win the competition. A website will serve as an identity of your business before the potential customers. Nowadays, we have been too tech savvy, and as a result, we want everything to be ready on our smartphones and PCs. Therefore, business owners should make use of this to reach more and more clients. A professional website will certainly boost your market value and help your clients to remain updated about the products you sell and the services you have been dealing in. Therefore, if you are still not aware of this stuff, you can consult website developing companies who can help you to launch a professional website. 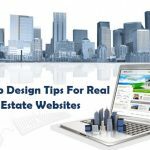 It is important to undertake professional services to make sure that your site contains all the elements that you would want to reveal to your clients. A professional or an expert can guide you to create the website and develop it with the necessary constituents. A powerful content, audios, videos and clippings or images along with different other elements are needed together to enhance the effectiveness of the website. 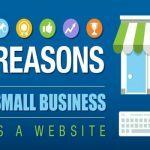 Here are some advantages that your business can enjoy with a professional website. In the present days, when we hate moving out in the crowds from one store to another, we are more interested in searching for our desired services and products over the internet. More and more consumers love to access the internet where they can easily find all the services and deals as per their need, and that too, at different offers and discounts. Having a website will help a business to gain credibility in this regard. If you do not own a website, it is quite obvious that your potential customers will go to your competitors who already have their websites launched across the internet. 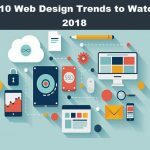 If you already have a website and you think that it is not professionally made but is a mess, you can choose to redesign it anytime to bring that professional touch. This will help your business gain a positive image, thereby inspiring a greater confidence. Here, you can now choose to promote your services and products to attract the attention of your customers. A lot of people have the mindset that is owning a website will cost a lot, but it is not so. There is no reason to think it as a non-affordable deal. 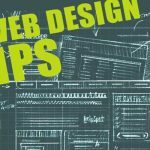 The cost of designing a website varies; yet, you can always find it yielding fruits to you once your business stands up and start running. Moreover, it is not at all that expensive as a lot of people wonder it to be. You can choose small monthly packages and they are too little to bear. Launching a website is quite cheaper as compared to that of a newspaper ad. A website is probably the most cost effective way to promote a business and attract customers. A lot of businesses tend to lose their customers for your interaction is lessened. Your customers are not aware of all that you have been selling and serving, these days. As a result, you will lose your old customers. However, you can stop losing them through a professional website. Your website will serve as your online catalog or brochure. You can quickly update your customers any tine through the website rather than delivering a printed material. This also serves as an effective way to let your customers know about the upcoming events of your company, arrival of new products, offers, discounts, seasonal sales and special promotions or any other services that you want to offer. Since printed ads tend to become outdated more quickly, you can choose to feature the current news and information about your company on the website. Consumers can reach your website from any location around the globe as there are no geographical restraints. Also, there is no particular time foundation for your customers to visit the website and surf to see the products and services that you have been offering. A website is 24 * 7 accessible, and also, in all the 365 days of the year. Therefore, the customers gain the convenience of reviewing the services or products even when the office is closed. This is certainly a great selling point, particularly when you need to make a purchase decision and it is effective in today’s busy lifestyles. It is only possible in today’s competitive market. No matter what are your services or products, the website will offer an alternative location to sell your productions. Therefore, an E-commerce website will help you sell your services to a wider market. They will all be available globally. You can sell everything and everywhere. Even cars and houses are chosen to be sold online. Irrespective of the kind of business you have been dealing in, a website makes the way to showcase your work. Why should customers come up to you if you have been dealing with all the same stuff that other business companies are doing? The answer to this is quite obvious. You need to deal with things that make you stand out of your competitors, and you need to show your efforts to the customers. They must understand your work and realize that what makes your business unique and a website will surely help you do this. You can choose to include a portfolio or an image gallery along with some testimonials to demonstrate your work to the clients. A website helps a lot in saving your precious time. If you need to provide information to your customers, you will certainly require a lot of time. You need time to send emails to each of your clients, or to make phone calls as well as face-to-face and even in a brochure. You can cut off this extra effort and time with an online catalog through which you can provide bulks of information regarding your services and products, and then circulate all of them among your clients. A running website will save your time as the information will be available to your customers indefinitely. Hence, a website saves time, and we all know, that saving time means saving money. 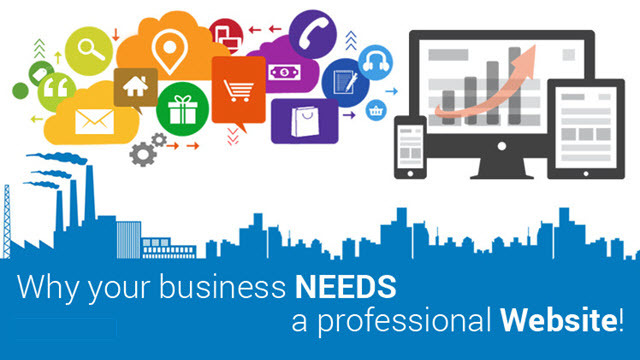 A professional website will certainly enhance your customer dealings. You can reach out to your clients and help them know your thoughts and creations. You can advise them regarding your services and how to deal with them. For example, you can suggest your clients regarding bookkeeping practices if you have been an accountant or you can choose to advice or share tips with your clients regarding recycling products if you deal in environment-friendly products. You can add a FAQ page to your website and keep on updating it with newsletters and articles to answer the questions of your customers as well as to provide them various kinds of value added information and services. 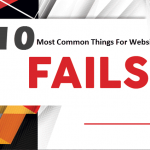 A professional website will drag in more and more visitors. Consequently, the number of visitors is directly proportional to the potential sales. Through a website, you can keep on updating your website with the promotions and services. Make sure that you do not keep your website unattended for a long period. You ought to update and feature your site with new and fresh contents quite often. Remember, your site should be informative with catchy headings and interesting highlights. This will increase your possibility of obtaining increased sales. A website can certainly build a better relationship with your customers. You can easily send messages to your customers in case they have any kind of queries regarding your products or services. You can answer to then via email. Moreover, this will also help your clients to view your products and services as well as leave feedback for your business. The websites give you an opportunity to interact with the customers, wherein you can deal with them individually. It is always better to send messages to the clients in order to deal with their problems and doubts. This will help you to create a positive impression on your clients and help your business to win the trust of the clients. As a result, you can avail a long-term relationship with your customers and help them rely on you and your services. Hence, a professional website will surely boost up your association in the market and help you win the hearts of your customers.